My good friend from RISD has illustrated her first children's book. It is a very exciting and special thing to know someone who is doing something they love and something they are so good at. 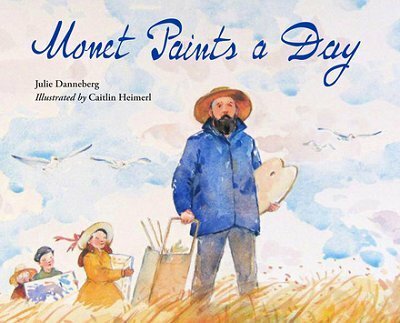 The book, “Monet Paints A day”, was the perfect project for Caitlin. The story , written by Julie Danneberg, is thoughtful, unique, and informational, and the watercolor illustrations that Caitlin executes so beautifully are a perfect match for the story. I am not only proud but inspired. I’ve been reading Caitlin’s book to all of my classes. The first and second graders, from my classroom in the spring, were some of the first kids to ever hear the story. After listening, they were excited to write letters to Caitlin- complimenting her, asking questions, critiquing the pictures, sharing about themselves, prying for some personal information, and inviting her to visit the classroom. Because Caitlin lives all the way in St. Louis, letter writing would have to suffice. The kindergartners at after school loved the book as well, requesting to hear it twice in one week! They also made her some cute happy cards. At camp I used the book as inspiration for a free Friday class. 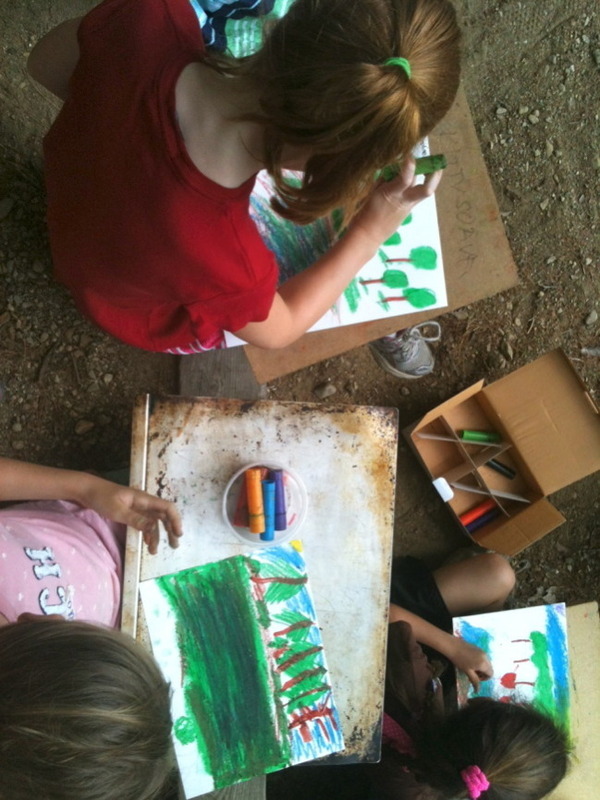 The class was called “Monet for a Day.” After reading the story to the campers, we then painted like Monet did in the book! This meant taking all of our supplies- paper, silky crayons, trays, and other hard surfaces- down to the waterfront. We looked at the lake the same way that Monet used to look at the beach. We used colors that gave an impression of the place. We had to work quickly before the light changed. Fortunately, unlike Monet, we didn’t have to worry about the tide coming in. 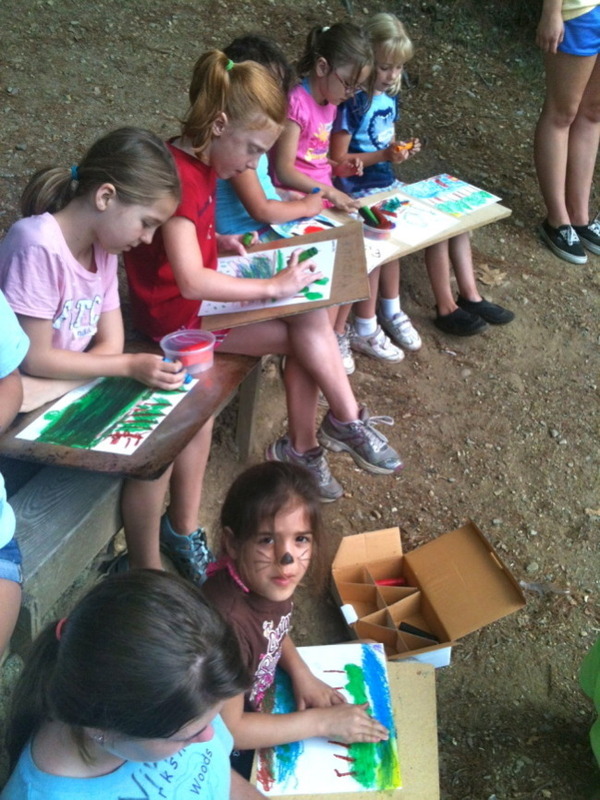 The campers were very happy with their work. The book was now more than a story- it was a whole experience. This book is a great teaching tool with beautiful illustrations, and I am so proud of my very good friend.